Mickey, the world's most popular mouse, will celebrate his ninth decade of existence today and the world can't contain its excitement. In 1932, a special Academy Award was given to Walt Disney for the creation of Mickey Mouse. He is adventurous, kind, funny and scores well in the looks department. He’s got a beautiful ladylove, cool friends and has over 14 million fans on Facebook and no, he isn’t a Bollywood celebrity. We’re talking about the man, rather the mouse of the hour, the ‘True Original’ Mickey Mouse, as he is all set to celebrate his 90th anniversary today. This beloved character has carved a special place in many hearts, for he continues to be one of the most recognised cartoon characters of our generation. His adorable adventures with his equally adorable friends - Minnie, Pluto, Goofy, Daffy and Daisy Duck – infused delight into many a childhood and gave us all something to look forward to, especially after a dull day at school, or college, nobody’s judging. His high-pitched voice and his favourite phrases - “Oh boy!” and “That sure is swell!” – will stay etched in our memory. So it’s only fair that his 90th birthday is celebrated with all the pomp and aplomb that can be mustered and countries all over the world are going the extra mile to make his special day extra special. In the UAE, 18-meter tall topiary statues of Mickey and his friends were erected at the Dubai Miracle gardens, while Berlin invited Mickey to be a part of its Festival of Lights by projecting his visage on to prominent landmarks. The vibrant, culturally diverse New York City too put its best foot forward to celebrate Mickey’s impact on art and creativity. The city is hosting The True Original Exhibition, a pop-up art installation that displays the works of contemporary artists who have revisited Mickey’s journey using a contemporary lens. The 10 interactive exhibits imagined by Brian Roettinger, street artist Keith Haring, designer Tetsuya Nomura and others, touch upon a key Mickey moment, like his 1928 debut in Steamboat Willie, his foray into comic strips, his transition from monochrome to colour or his first feature appearance in 1940’s Fantasia. Disney has also created a dazzling, two-hour, primetime event, Mickey’s 90th Spectacular that will feature musical performances, tributes and never-before-seen short films. Grammy-award winning singers Josh Groban, Meghan Trainor and Seoul-based K-Pop powerhouse NCT 127 are some of the artists who will perform at the event, which will air today on Disney International HD. At the only places where virtual Mickey appears in flesh-and-blood-form – Disney Parks – the World’s Biggest Mouse Party will be held. Though it doesn’t involve drunken mice dancing to Mice, Mice Baby, it does involve commemorative merchandise, quirky photo booths and lip-smacking treats. Disney has also launched a special Mickey collection that is far from ‘cheesy’ for it features golden-hued Mickey-inspired merchandise. 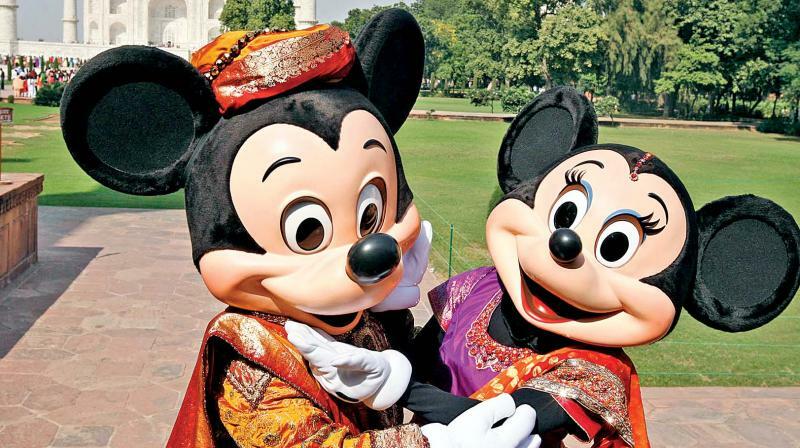 Disney India seized the moment to make a difference and launched the Stay Fit initiative, which used a Mickey and Minnie dance routine to encourage children to stay active. While dear Mickey’s fashion sense is quite simple, as he swears by his trusted red shorts, yellow shoes and white gloves look, his status as a cultural icon makes him the perfect mouse to grace the catwalk. And so, in collaboration with Disney India, Indian counterparts of international fashion brands have launched special collections that feature garments with Mickey-inspired motifs to celebrate Mickey’s 90th anniversary. Disney also teamed up with another brand to launch a collection that celebrates Mickey’s journey, right from his black-and-white appearance in Plane Crazy up to the 1990s, where he gets a punk-inspired makeover to channel the era’s most popular subculture. But the world’s most popular mouse hasn’t only inspired sartorial innovation, for beauty, watch, automobile and countless other brands haven’t shied away from launching collections in honour of #Mickey90. As the evergreen Mickey turns a year older and celebrations erupt all over the world, we are reminded not just of this timeless cartoon character, but also of the joys of childhood, something that was synonymous with the Mickey-viewing experience. May Mickey’s birthday jamboree bring some of that joy back. To Mickey and the magic of childhood! Mickey was born out of necessity when Walt Disney discovered he had lost the rights to his previous character, Oswald the Lucky Rabbit. Walt originally wanted to call Mickey "Mortimer Mouse", and it was changed to "Mickey Mouse" when Walt's wife Lillian said she felt that "Mortimer" sounded too pompous. 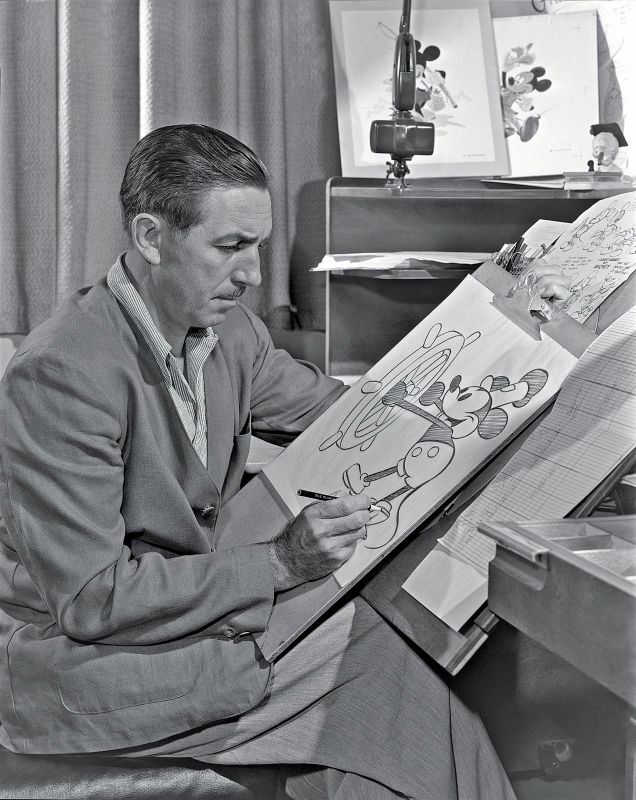 In the first cartoons, Mickey’s voice was provided by Walt Disney. Mickey appeared in 120 different cartoons. Mickey became the first cartoon character to have a star on the Hollywood Walk of Fame on November 18, 1978, in honor of his 50th anniversary.